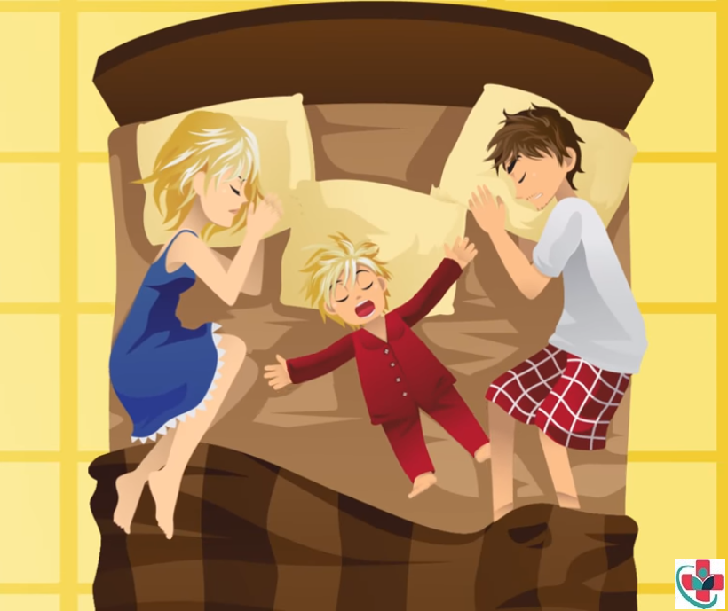 Some parents choose to share a bed or other sleep surface (also known as co-sleeping) with their babies. Read our advice on how to do it safely. Some parents choose to bed share with their babies. This means that their baby shares the same bed with an adult for most of the night, and not just to be comforted or fed. Some parents also choose to sleep with their baby in other places. Keep pillows, sheets, blankets away from your baby or any other items that could obstruct your baby’s breathing or cause them to overheat. A high proportion of infants who die as a result of SIDS are found with their head covered by loose bedding. Avoid letting pets or other children in the bed. Make sure the baby won’t fall out of bed or get trapped between the mattress and the wall. Either you or your partner smoke (even if you do not smoke in the bedroom). Either you or your partner has drunk alcohol or taken drugs (including medications that may make you drowsy). Your baby was born premature (37 weeks or less). Your baby was born at a low weight (2.5kg or 5½ lbs or less). Never sleep on a sofa or armchair with your baby, this can increase the risk of SIDS by 50 times. You should never sleep together with your baby if any of the above points apply to you or your partner.